While the building’s exterior may look run-of-the-mill, what’s inside is a step above. 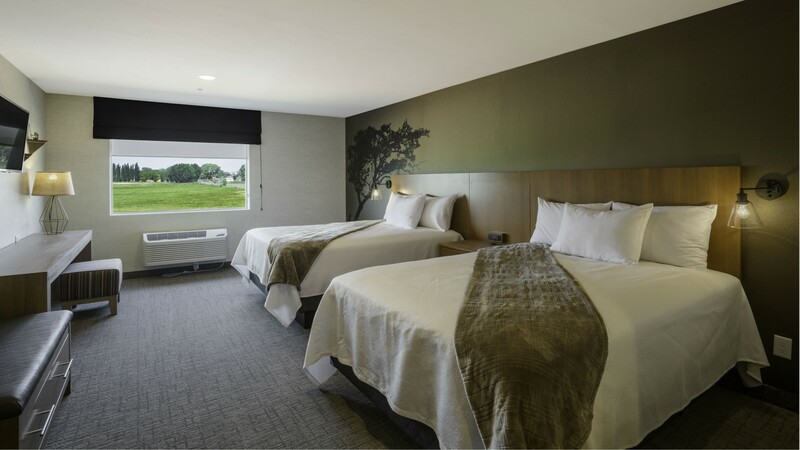 The Red Sands Hotel underwent a massive renovation in 2018, updating its existing rooms and features while also adding an additional wing of new rooms and suites. The cozy front lobby area sets the tone for a space that's comfortable and welcoming. Staff here are accommodating and friendly without being intrusive. On our wander around the property, we spotted a sign for the staff accommodation area, labelled “AWESOME STAFF ONLY” -- proof that the people here don’t take themselves too seriously. For an area filled with outdated chains and traditional inns, the Red Sands is a welcome addition with an updated feel. We stayed in the Red Sands Hotel’s new wing, where the decor had a modern European touch to it. Our King Capitol Room was equipped with an extremely comfortable pillow top bed, a small sofa, dresser, mini-fridge, a long console shelf and a flat-screen television. Small touches like plenty of multifunction plugs and an easy-access switch to turn off the mini fridge (in case the sounds bother you at night) were thoughtful additions. 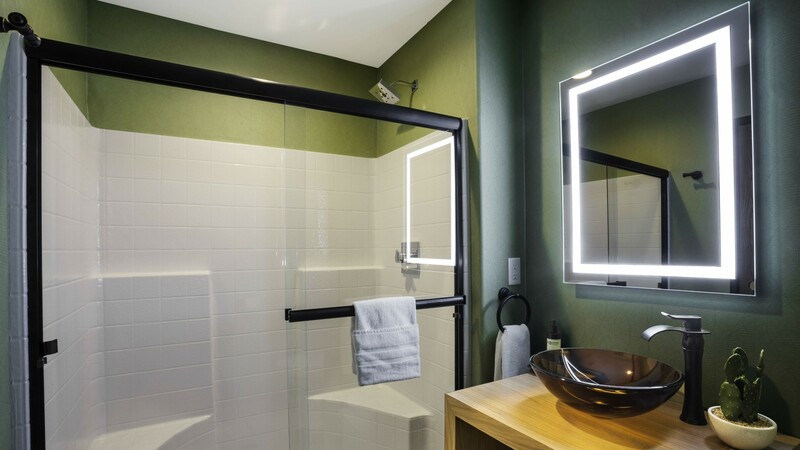 The bathrooms are small and equipped with a wide walk-in shower with built-in seating areas which are helpful for those with accessibility issues or that simply want a leisurely shower experience. The rooms were spacious but we did feel like there was a missed opportunity to offer a place to hang jackets and coats at the front entrance. Recent renovations have brought a few new additions to the Red Sands Hotel. 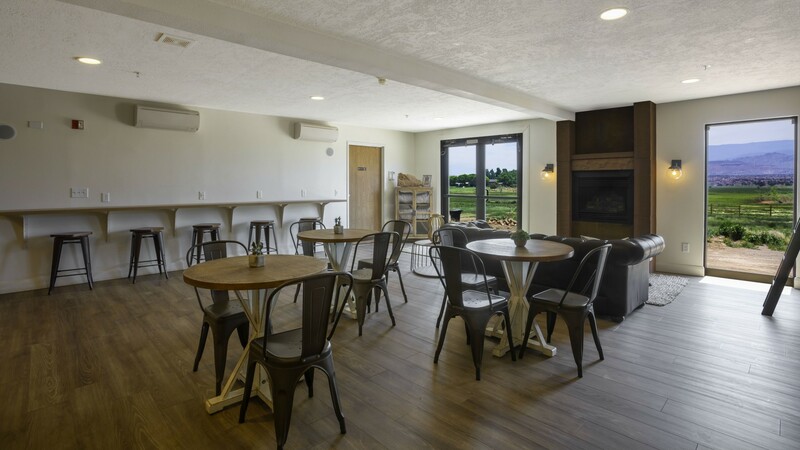 There’s a spacious yoga room with plenty of natural light and mats and props for guests to use at their leisure. At night, we made good use of the outdoor dark sky decks equipped with lounge chairs for gazing up at Torrey, Utah’s incredible night sky. 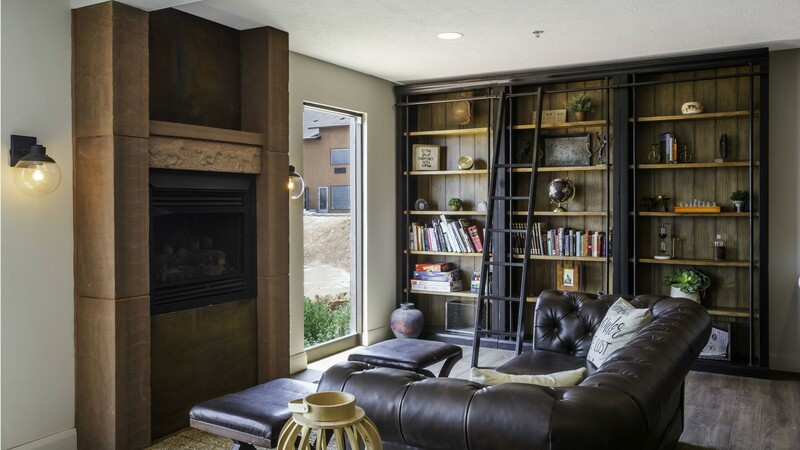 Back inside, a cozy lounge area with books and board games, a sofa and a gas fireplace created a home-away-from-home feeling. While not yet open, a spa and on-site restaurant are coming soon as part of the renovations. 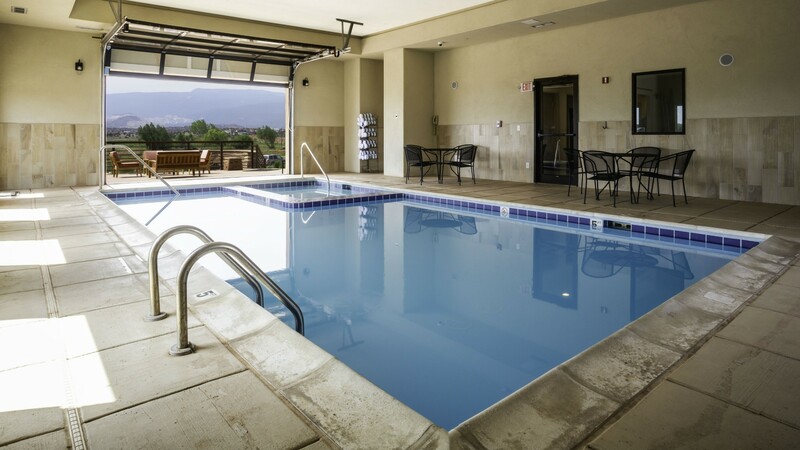 With a population of 243, the amenities in Torrey are limited. 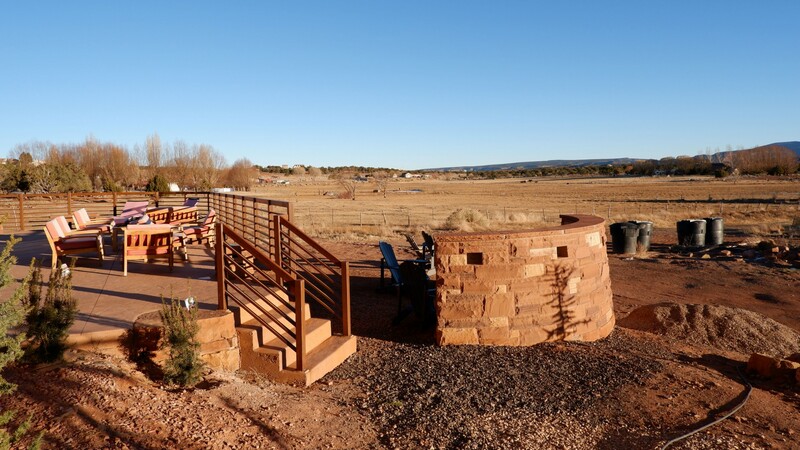 But this small town’s main attraction is its proximity to Capitol Reef National Park, which draws in tourists to witness its stunning red rock landscapes, canyons and cliffs. 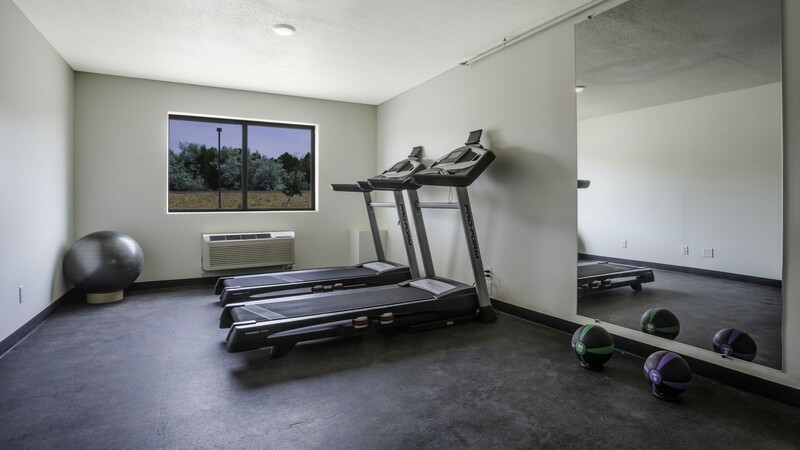 The park is just a five-minute drive away where there are plenty of excellent hiking trails and driving routes to explore. Red Cliff Restaurant serves surprisingly good, made-to-order pizza with a house-made crust (don’t let its drab interior fool you) while the Broken Spur Restaurant is the spot for excellent steak and sides made from local ingredients, served in generous portions.